Very Good. 1844081826 ALL BOOKS SHIPPED WITHIN 1 DAY OF PURCHASE! The self-memoir The Glass Castle, written by Jeannette Walls, illuminates an underprivileged lifestyle. A charismatic and ingenious father, who is usually drunk, an irresponsible mother, and four children are struggling to stay alive while confronting hazardous obstacles and chaos. In this situation, siblings protect each other, and when their father, Rex Walls, becomes totally uncontrollable, they plot an escape to New York City. There are several elements that make this book remain on the New York Times bestseller list for more than three years. The family in this story is so eccentric. Parents care a lot about education, but they believe their kids must learn mainly from living and they don't have to attend school. As a result, their father starts teaching them mathematics, physics, geology, and cosmology. In addition, all members allocate a large amount of their time to reading. While sober, the father studies academic materials, children enjoy novels and the mother devotes herself to art and writing. Still, they have some faulty beliefs like killing a fly inside the house can destroy the life cycle of an area or living on welfare is destructive for independence under any circumstance. Another fundamental problem is that parents cannot manage their income when they have a job, or they refuse to work and earn money because they consider being homeless and rooting in the trash a lifestyle. 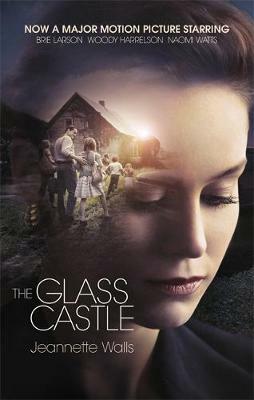 The question that any reader may ask is why the author has chosen "The Glass Castle" for the title of the book. The Glass Castle is a symbol that represents both the father's wisdom and his empty promises. Its blueprints looked so intricate and accurate to the children and comprised large rooms, solar cells, and anything Jeannette and her siblings craved. Ideas behind each section exemplify father's intelligence and make children believe one day, they will survive poverty. However, Rex didn't build it at all like his other promises. This book has two turning points. The first one is when Jeannette's father punished her because she was irritated by her mother's unconcern for children and yelled at her mother to go to work. After that, Jeannette makes two decisions that she doesn't let her parents punish her while they have neglected their own parental responsibilities, and that she is going to leave them before they destroy her whole life. The second turning point is when she loses her faith in her father by stating directly "Dad, you'll never build the Glass Castle" and abandons him. The most emotional scene happens in the bus terminal when Jeannette hugs her father and says farewell to her idol. In fact, by immigrating to New York City, she starts feeling the delight of independence and self-esteem. The crucial feature that has made this memoir precious is that the author expresses her emotions and attitudes toward characters chronologically. For instance, when a reader is introduced to Billy and uncle Stanly, he or she doesn't figure out how much the writer abhors them because they had tried to abuse her sexually. Another example is Dinitia who bullied Jeannette at school but later they befriended each other. That the reader experiences the same emotions as the protagonist during each incident without any prejudgment has made this memoir unpredictable and unique. The rating I give The Glass Castle is a five out of five. It completely engrossed me that I finished the last hundred pages in three days, so I recommend this masterpiece to others. Readers have to be patient to pass a few repetitive parts, but once they finish the book, they will be more thankful for their lives and find out how any person from any social class can become successful. In fact, the person who is going to build our Glass Castles is no one except ourselves. this book is an easy read and covers a situation in life that affects more people then one may think. It is well written. This book reminds me so much of Frank McCourt's biography Angela's Ashes. The resilience of children growing up in a home where parenting is nonexistant is just amazing. One wonder's why children are even put in a home with such abuse when there are so many couples who desperately want to have children. Excellent read! I read this book for a book report project in my sophomore year in HS. Although the author's choice of words were average, she had the skill in telling stories that inspire people. After reading this book, I realized that in comparison to her life-stories, all my life-obstacles seem to be vague, to be nothing. Many may see that the author did not put any quick-to-find themes and lessons; however, she did put a lot of valuable lessons for everyone. Through her writings, I found a lot of inspirations, such as you can fight against anything with your independence, and to never give up on anything. This is a good book to read if you have any free time!